When one door closes, another one opens. 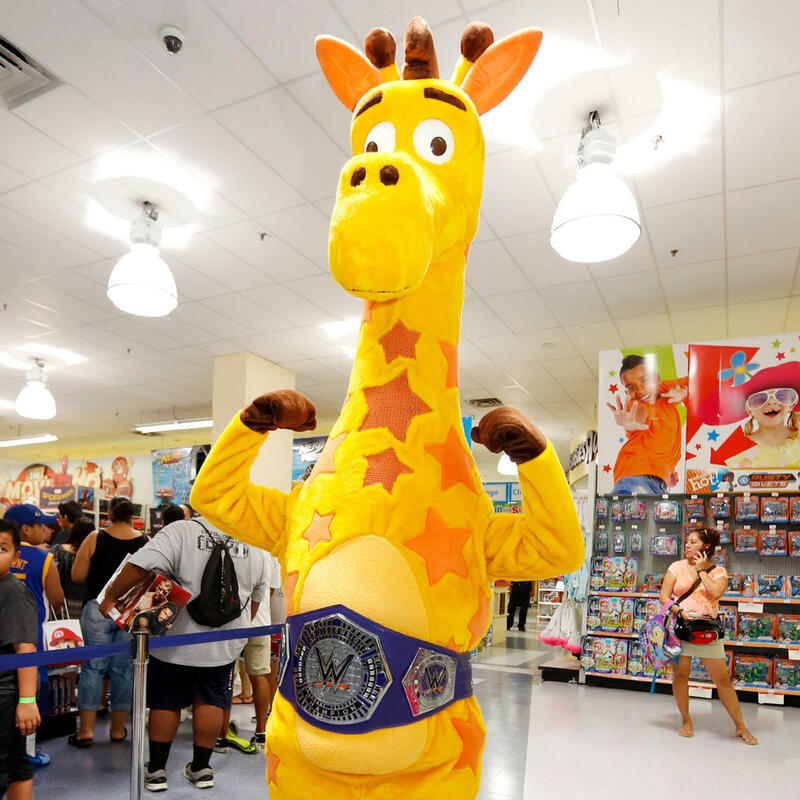 After the bankruptcy and closure of the popular and long-lasting toy retail store Toys ‘R’ Us this past month, it meant that the brand’s long-time mascot and spokes-animal, Geoffrey the Giraffe, was forced to step away from is lifelong gig. Thankfully, Geoffrey isn’t taking his newly-open schedule lying down, as he’s recently picked up a new pastime and career in the squared-circle down in the Sunshine State. Recently, Florida Supercon Wrestling (a.k.a., Fantasy Super Cosplay Wrestling), which is also the same promotion where WWE Hall of Famer Mick Foley fought Negan from The Walking Dead, held a Royal Rumble match to name a number one contender to the promotion’s championship. Similar to the WWE’s version of the match, there were many surprise entrants, including former WWE’s vampire Gangrel of The Brood (BOTH VERSIONS)! Check out the video above to see Geoffrey uses his size to run roughshod all over the competition with big standing clotheslines and chokeslams. However, the Big ‘G’s’ Cinderella run came to an end with a hint of art imitating life, as Geoffrey is eliminated from the Rumble match by the Amazon Prime bundle. That’s pro wrestling for you. LONG LIVE PRO WRESTLING. LONG LIVE TOYS ‘R’ US.